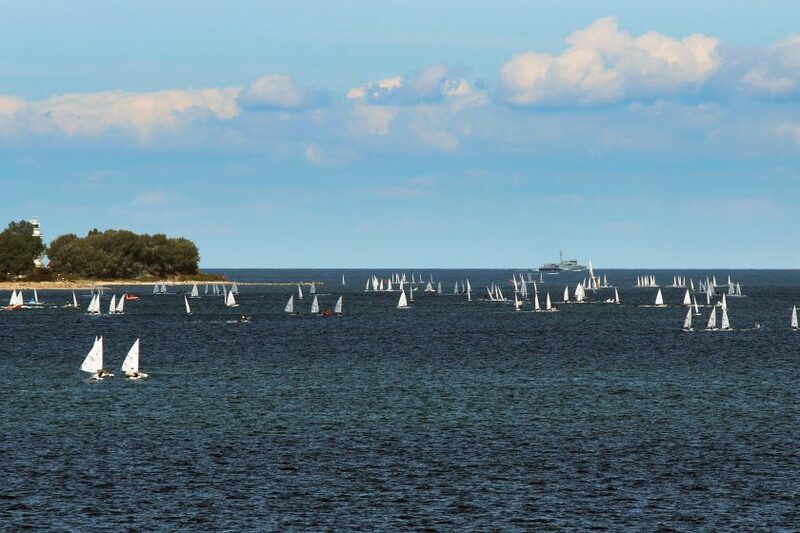 (Kiel, Germany) The second day of racing brought a late start in Kiel-Schilksee. The 365 sailors had to wait until 15:00 before venturing out to the race courses. 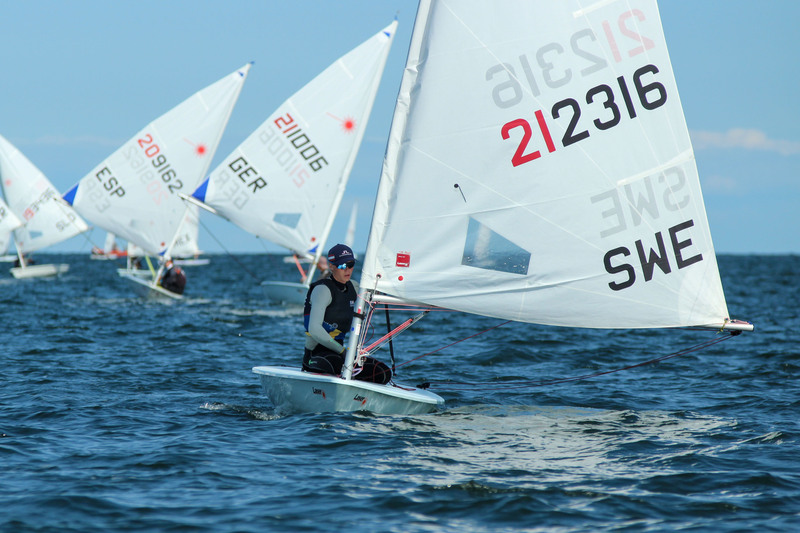 The wind had increased after the calm morning, enough to start two races on Day 2 of the Laser Radial Youth World Championships. “Fair conditions,” was German Julian Hoffmann’s summary of the day. He is sitting in second overall after four races, one point behind Italy’s Francesco Viel and one point ahead of Ludvig Lindqvist from Sweden. In the girls’ division, Germany’s Julia Buesselberg was also content. “The conditions were difficult, but who was fast was in a good spot.” Good starts, steady speed, and maintaining focus on the big picture was the strategy that proved successful. After two fourth places on the first day, she finished in first and third today to be leading the division overall. Matilda Talluri from Italy sits only three points behind in second place and is tied with Spain’s Ana Moncada Sanchez. While the wind shifts appeared quickly on Monday, Buesselberg could drive gently into the wind shifts on Tuesday without the added challenge of the waves. Those who knew how to ride the waves well had an advantage yesterday, such as Laura Schewe of Germany. But Day 2 did not show much action from the waves. Now the sailor from Altenholz is sitting in ninth overall. Races are set from Monday, August, 20 – Saturday, August 25. Each day, there will be two races. After the qualification races, there will be final races in Gold, Silver, and Bronze fleets starting Thursday. For this, all qualification groups will have to sail four races (including a discard). Four races are required to assign the World Champion title.